Dr. Brett Sklaw joined Ohio Gastroenterology Group in March 2017. He attended medical school at SUNY Upstate Medical University, graduating with his medical degree in 2009. He went on to complete his Internship and Residency in Internal Medicine as well as his Fellowship in Gastroenterology, Hepatology, and Nutrition at The Ohio State University from 2009 – 2015. 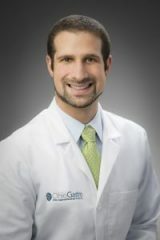 Upon completing his fellowship training, Dr. Sklaw relocated to New York to join Upstate Gastroenterology Associates where he practiced for two years before deciding to return to Columbus. Dr. Sklaw is trained to perform Hemorrhoid Banding, Capsule Endoscopy, 24hr pH Impedance and Bravo studies.